Rose City Comic Con is the kind of laid back, chill convention where interviews feel more like conversations. 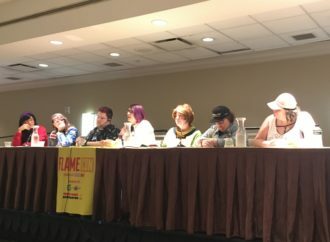 After reading Dream Daddy #1 and becoming an enthusiastic fan of the new series, I contacted Oni Press to see about an interview with Josh Trujillo, who was the only creator from the just released Dream Daddy comics series at RCCC. I was told that Josh said to drop by his table whenever, and so I did, and we did the interview right there on the spot on Friday morning. I pulled up a chair, started a new Voice Memo on my iPhone, and we spent the next ten minutes talking about Dream Daddy and his upcoming issue with DJ Kirkland. We laughed, we shared our Dad feels, and I walked away feeling like I’d just had a fangirling session with one of my best friends. This interview was recorded at Rose City Comic Con on September 7th, 2018, and has been edited for clarity. 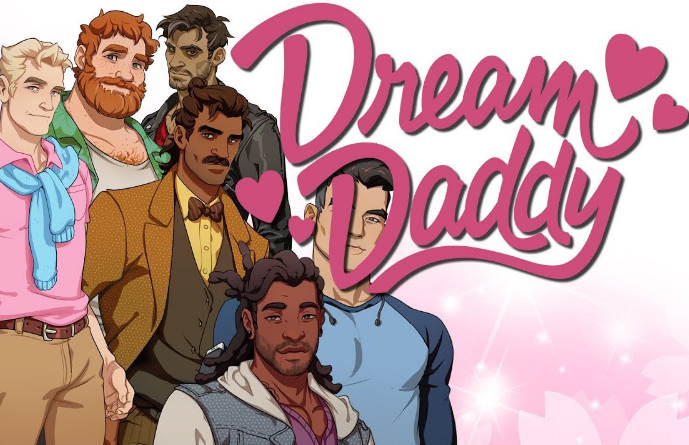 Kate Tanski: So, are you a Dream Daddy fan? Josh Trujillo: I am a huge Dream Daddy fan. I work for a different video game company, but we spend a lot of time talking about Dream Daddy. KT: So, you had played the game before they approached you? JT: Yeah. Japanese style dating simulators are definitely like a kink of mine. KT: So that begs the question: who’s your Daddy? JT: So, I’m kind of torn between Craig and Brian. I feel like they’re kind of like on different ends of the spectrum in terms of like, body type, and personality. Brian’s the one I want to marry; Craig is the one that it might be more temporary romance, but it will still be meaningful for both of us. 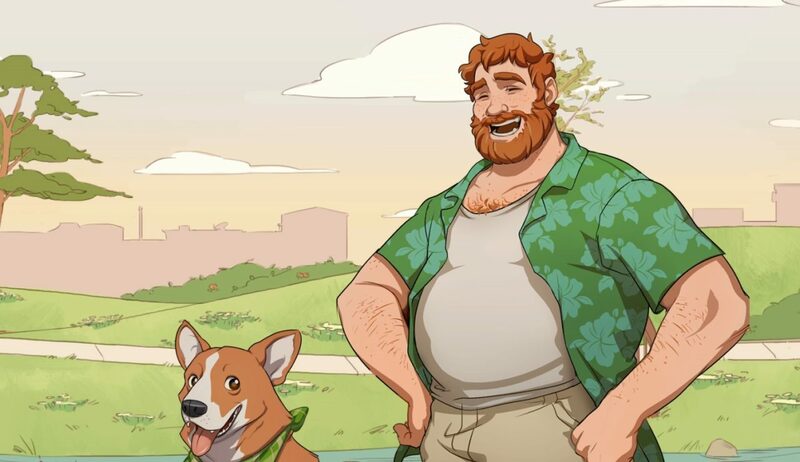 Brian and Maxwell the corgi, as drawn in the Dream Daddy video game by Game Grumps. KT: I’m torn between Craig and Robert a lot. JT: Yeah, people think I’m Robert. KT: Yeah, I was surprised by the Brian! So did you pitch to do a Brian story? JT: No, because I’ve done a lot of tabletop gaming comics. I do the Death Saves anthology about tabletop gaming death, and I have a story in Rolled and Told coming out from Lion Forge in December. But they knew I was like, perfect for the pitch, which was basically Hugo is running a Dungeons & Dragons style RPG, and I can do that, yeah. KT: That was my next question, like, tell me about the D&D process. Like, deciding who was going to be which character? JT: It felt so natural figuring out who was going to be what. Brian is a barbarian, and Craig is the archer, he’s very lithe and graceful in that way. And then Joseph is a paladin, which is really kind of funny given his sensibilities. 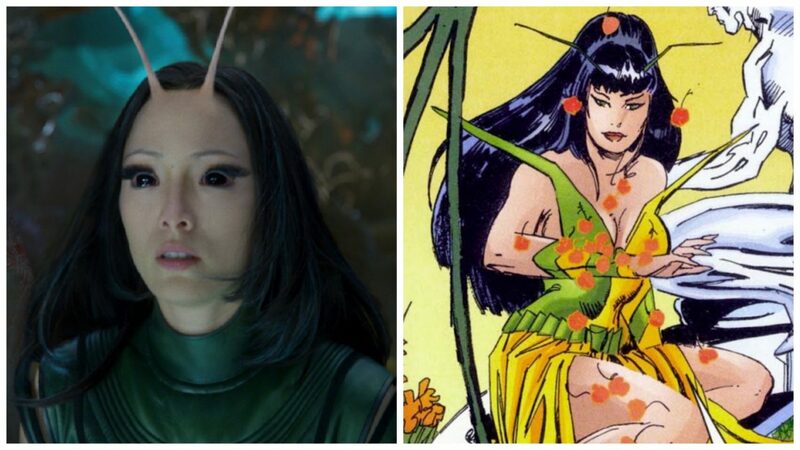 But it just seemed really obvious to me who was what type. I’m really sad that Hugo as the Dungeon Master does not get to play as a character. KT: Who would you have him as? JT: Oh gosh, he would be something really annoying like a Psionicist or a Drow. He would be something that would require the most rules. KT: And he would actually speak like, Drow during the game. JT: Absolutely. He’d be one of those like, Dothraki speakers. KT: So, there is no Dadsona in this. Was that in the original pitch? JT: That was definitely my intention, because I would’ve been too caught up in what the Dadsona was like and what they looked like. And I thought that this was really a more important chance to focus on the dads and how they interact with each other. Because we get a little bit of that in the game, but I want to live with these characters, some more than others. KT: And literally live with them. JT: Literally live with them. KT: Tell me about your collaborator. Had you worked with them, or was it like a blind date? JT: It was a bit of a blind date; they were kind of like, “Here’s your dance partner.” But I got really lucky. I got DJ Kirkland, who is an incredible artist and is working on a graphic novel called Black Mage [By Oni Press] that is popping. And he is not much of a tabletop gamer, so he had to ask me questions about, like, dice shapes and things like that. But it’s been a complete dream, so to speak. He appreciates Brian as much as I do, in the way that I do. And so even though it’s Hugo’s story, I would say that Brian and Craig probably have the second most to do. 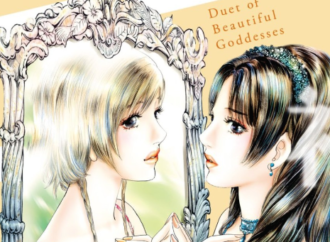 KT: So, in the first issue, there was a little bit of the romance like, typical of the game. So they get like a kiss at the end. So is this a romance? Do they talk about the Dadsona? JT: They do not talk about the Dadsona. So we are Dadsona agnostic in this issue. And there were … the original script had a lot more slash fiction elements than the final one. But the creators of the game stepped in, and the Dadsona is the romantic element of Dream Daddy. But the reason the Dadsona is so important is because the other Daddies do not think of each other in that way, generally. So, little bit of flirting. KT: What was the subtext that you had? Who do you slash? JT: Oh, Brian/Craig. They have a couple of tender moments for sure. KT: Is there anything else you can tease? Because we don’t get it until December. JT: Hugo is way too much like me. I’ve been playing Dungeons & Dragons and those games for about 20 years. I’ve killed a lot of characters. I definitely get too caught up in the rules of it. And so I’ve definitely had to, like, there’s a point where I wasn’t writing it for him, I was writing it for myself. But you know, he’s the dad I want to be when I grow up. He’s a real good father to Ernest, who you get to see in the story a little bit. And I spent way too much time figuring out the kind of roleplaying game he would run. And it speaks to his Guatemalan background, I would say. KT: Okay, so what kind of game style is it? Is it Pathfinder? Is it 5th Edition? JT: It is a Dungeon & Dragons with the name filed off style game. I think the solicitation text was really clever. I think it said like, “A very popular and iconic roleplaying game,” or something like that. KT: But you used that system in mind. JT: I used that kind of system in mind. I’ve played other games, but for me, it’s always going to be about the D20s and about the hit points and the armor class and that. KT: So, what are your other projects coming up? JT: So Levi Hastings and I are working on more of our gay revolutionary war romance, Declaration. Hopefully we’ll have something cool to announce soon. My YA sports comedy, Dodge City—the first volume comes out in October, and me and Cara McGee are talking about what the next volume might look like. KT: So is it continuing in singles? 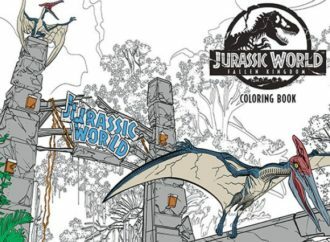 JT: For Dodge City, I think the plan is to have the first volume out, and then over the holidays we’ll kind of see and have a better idea of what the market is for that, and then next year, I don’t know exactly what the plan is. 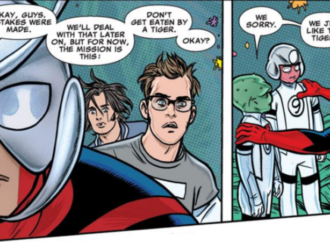 Either specials, or an OGN, or maybe going back to single issues. 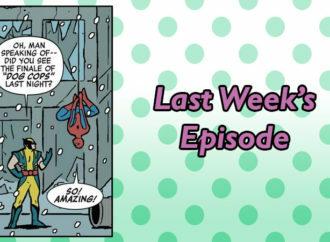 KT: One last thing—have you seen your Kris Anka cover? JT: It is a dream come true to have Kris Anka draw a character design that I helped come up with. KT: Can we talk about it? JT: It is stunning. Also, D.J. Kirkland’s cover turned out super as well. It was a thrill to work on it. I love Dream Daddy, and I kind of hope it becomes super popular so that we can keep doing more of these. Cover to Dream Daddy #5: Dungeons & Daddies by D.J. Kirkland, Oni Press. KT: Yes! So I was going to ask, so it’s five issues, right? JT: The five issues are all self-contained. JT: But I’m optimistic that there will be more Dream Daddy stories in the future, but that’s up to Oni Press, and my amazing editor Ari Yarwood. 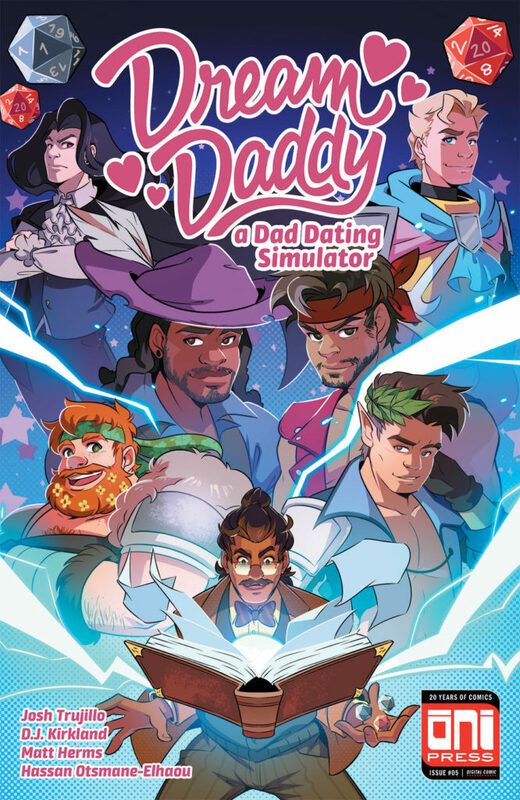 Dream Daddy #5: “Dungeons & Daddies” will be released on December 19th, 2018 through digital retailers. 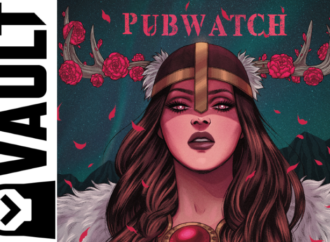 Print versions will be available at Oni Press booths or through the Oni Press online store. Special thanks to Josh Trujillo and Melissa Meszaros from Oni Press.